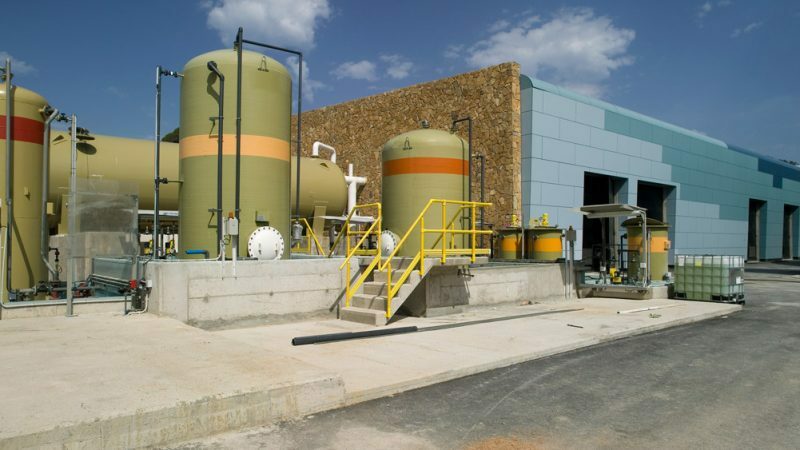 » Portfolio » Building and operating project for the seawater desalination plant at Andratx, Mallorca. Spain. 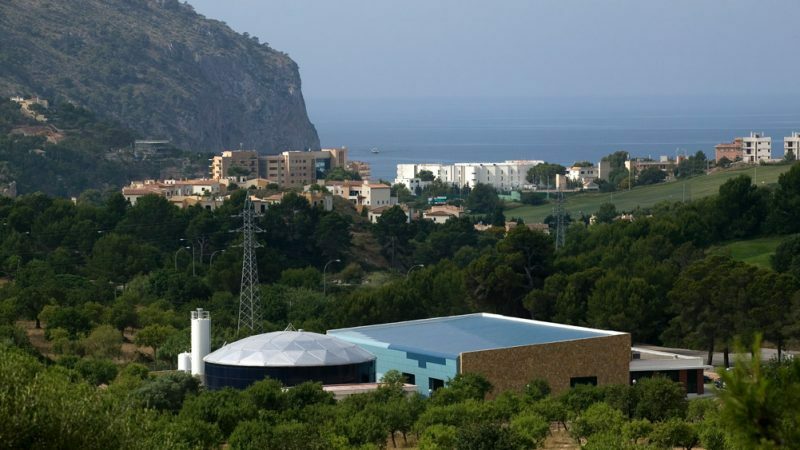 Building and operating project for the seawater desalination plant at Andratx, Mallorca. Spain. 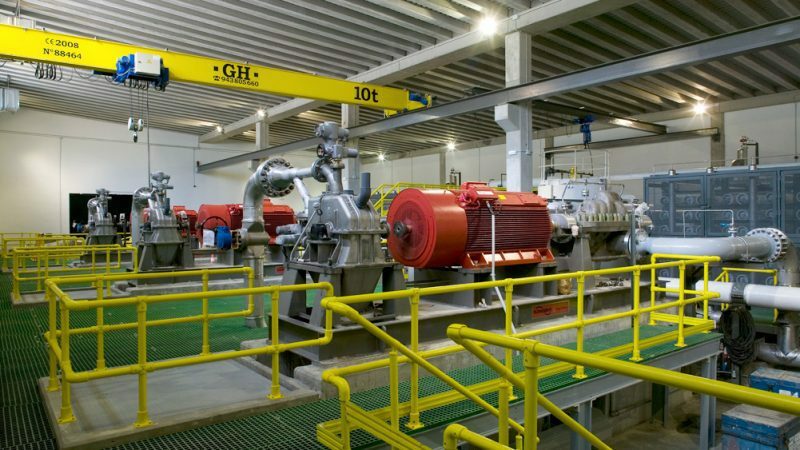 Seawater desalination plant using the reverse osmosis system. • Pumping of seawater using four DN 600 mm wells, 150 m in depth. • Three thousand metres of DN 800 mm polyester piping. • Intermediate pumping of seawater from a 400 m³ tank. • Three 7,000 m³/day reverse osmosis frames. 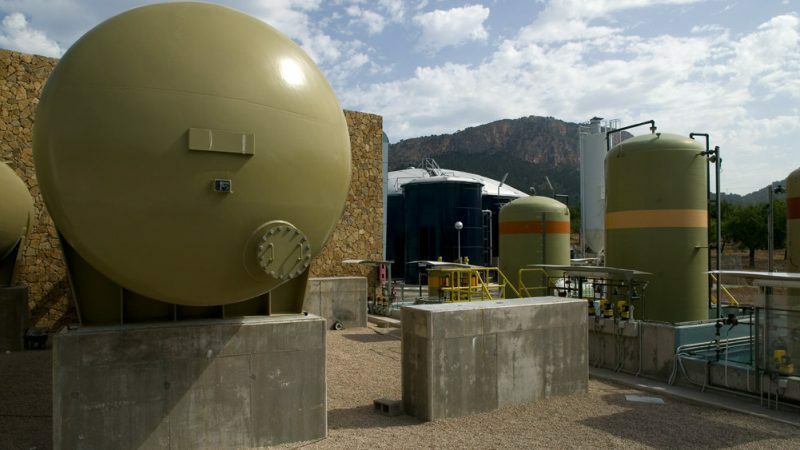 • Treated water tank with a capacity of 3,250 m³. • Pumping of treated water using DN 600 mm cast piping. • PRFV DN 600 mm brine piping. • Piping for seawater capture, brine and treated product water. • Office building and process building.